We are slowly inching our way thru Spring and into Summer. You know what THAT means. Digging out the swimsuits. Desperately trying to lose those last stubborn fifty pounds. Watching the community pool so you know which lifeguards are the lazy ones who don’t really check to see if you are OFFICIALLY a member of the Homeowners Association. And what will the members of BSR be doing in the midst of all this seasonal reverie? Well, first things first. 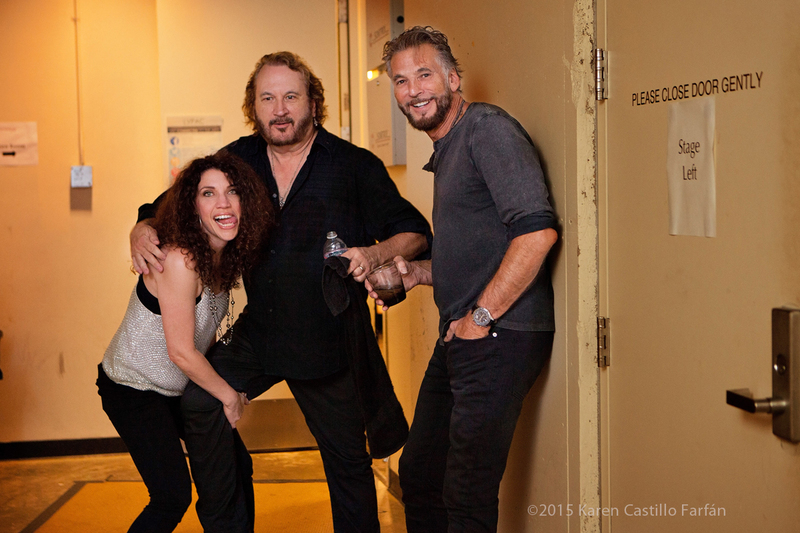 If you saw Kenny’s fabulous concert on AXS TV a few weeks ago, you got to hear Georgia sing “Whenever I Call You Friend” with the Big K.
AND you got to see Gary walk across the stage, exhibiting his motor skills to the delight of millions … and then disappear. Old-school audiophiles may want to rush over to Friday Music (or Amazon) to pre-order a brand new, translucent, gold vinyl release of Loggins & Messina – On Stage. Go. Do it now. We’ll wait here. 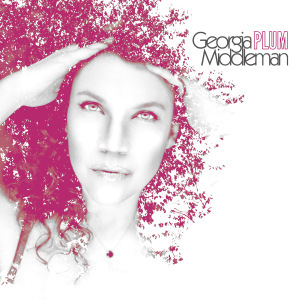 Georgia is getting ready to release her new CD, PLUM. (She called it that because she is “on the level.”) It is fabulous. A whole new side of her, musically speaking. You’re gonna love it. Gary appears on one track in an innocent bystander sort of way. We have no idea when the next class will be yet. We just finished THIS one. Jeez. Gary’s Online Masterclass is close to wrapping up. The students are rocketing to the finish line, their heads near to bursting with new tips and tricks. This class will be offered again very soon. For more information plus a couple of free songwriting tips… go to www.writesongsgood.com. 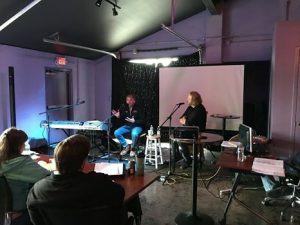 He is about to expand the online class and offer many different courses and videos to turn YOU, Mr. Average Joe Songwriter… into Mr. Average Joe Songwriter with slightly less money in the bank. That’s the only promise he is legally allowed to make. 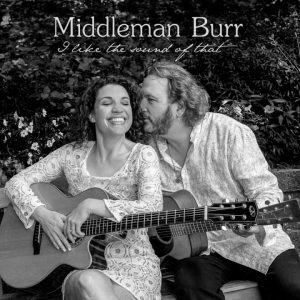 Middleman Burr are halfway through recording a new duo CD as well!! Oh. You didn’t know? Read all about it at middlemanburr.com. You have to catch up before the next one is done. I can’t tell you much about the new one they are working on but it has some fabulous guest artists helping them out. Gary and Georgia will also be hosting their next songwriter in the round show Nashville To New York show on June 14th at the Cutting Room in NYC. This show will feature guest writers J.T. Harding and Roger Cook. Click here to buy tickets and learn more about these tremendous talents. Blue Sky Riders, you ask? Any news flashes? Updates? Bulletins? Dispatches? Communiques? Well, they are playing a private show, just the three of them and their acoustic guitars, in June in Colorado. They are looking forward to attempting to play all those songs again. Wish them luck. Is BSR headed to a town near you? Ha ha. Oh, you’re serious? Kenny, Georgia and Gary love this band and want nothing more than to make more music and keep this thin, gruel-like gravy train rolling. 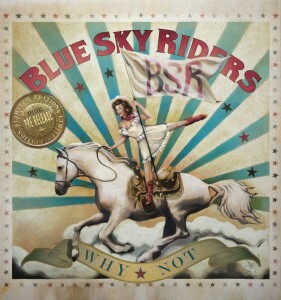 Hit their website every once in a while at blueskyridersband.com and check in so you can know as soon as they know. In the meantime, put “Shminally Shmome” on your CD player and groove, baby… groove. Plus! For a limited time you can watch the making of Why Not via BSR’s All Access Pass. Use the code: whynot for a pretty sweet discount!